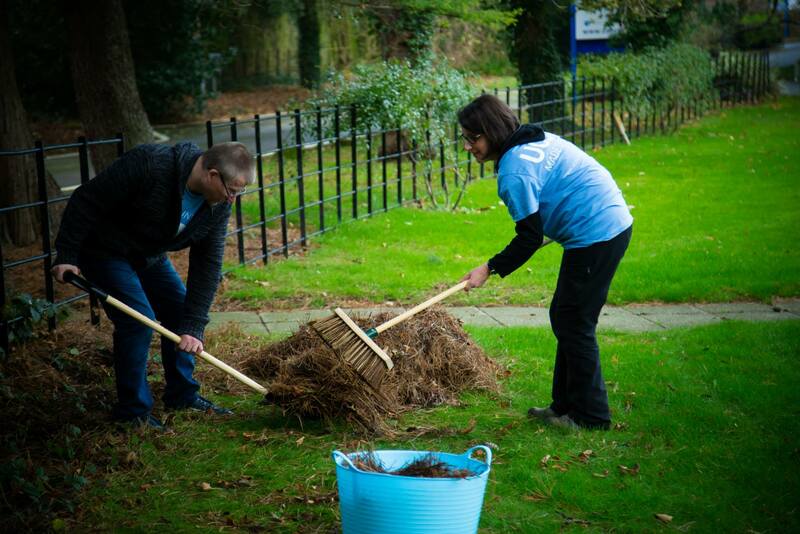 At 9:30am on a crisp Saturday morning, a group of volunteers from the SU banded together once again to help our local community. 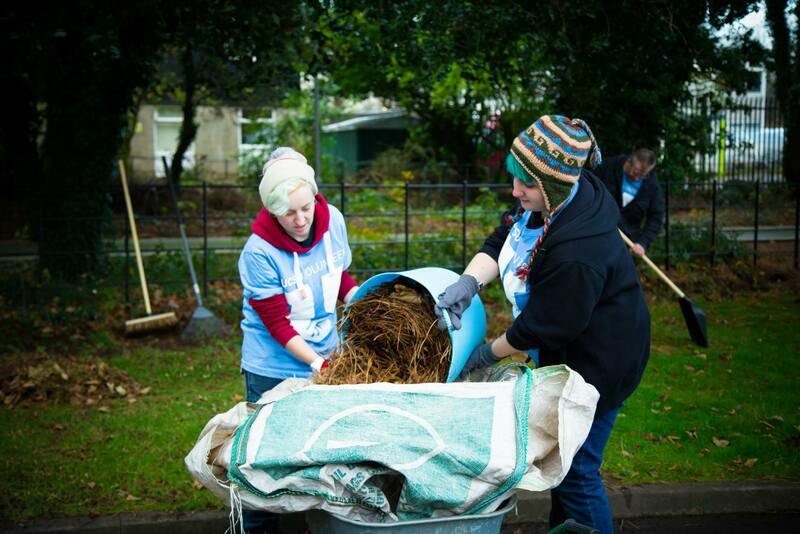 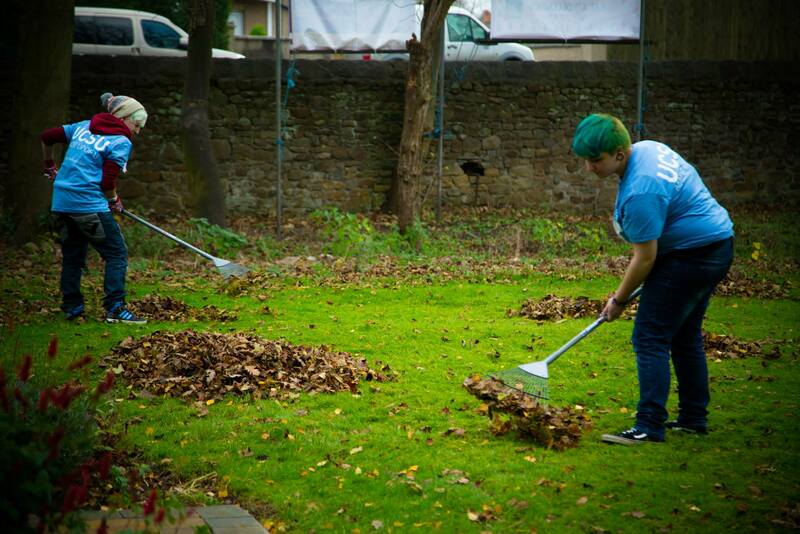 St Johns Hospice near Morecambe was in need of our help to take care of the grounds. 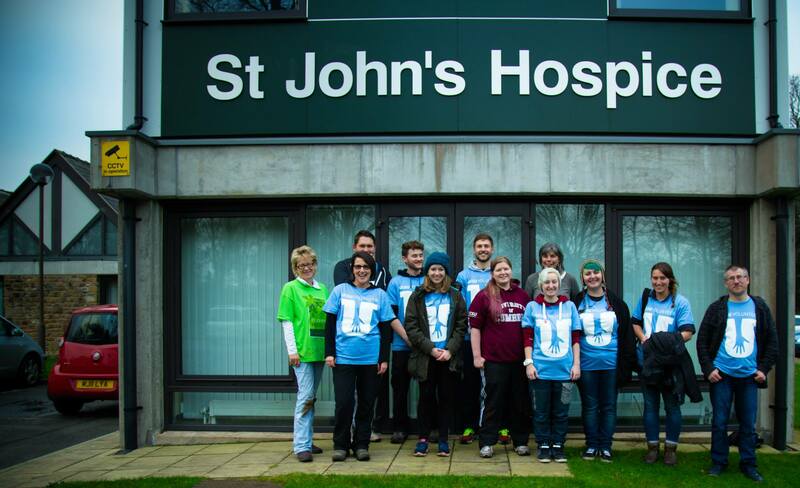 We met up with Lorraine Swanson, head coordinator of volunteering to show us the ropes. 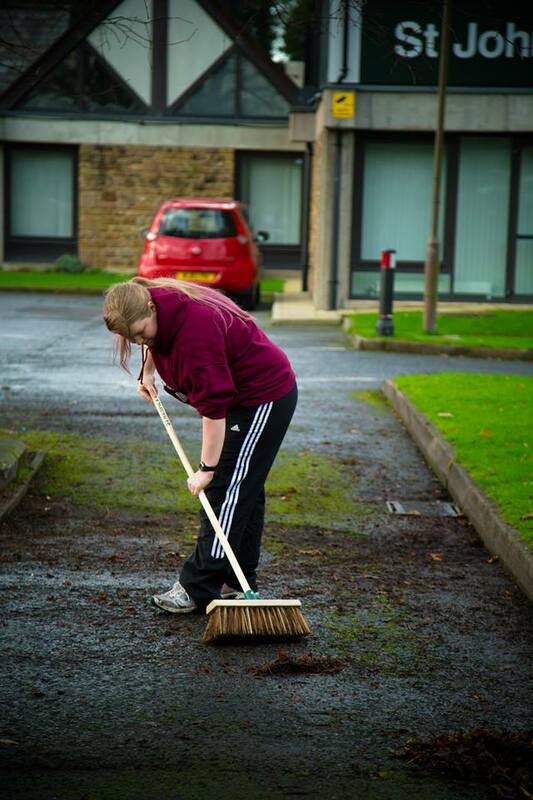 The group of around twelve spent a few hours clearing the dead leaves from the grounds and parking area ready for the Christmas light switch on happening later in the week. 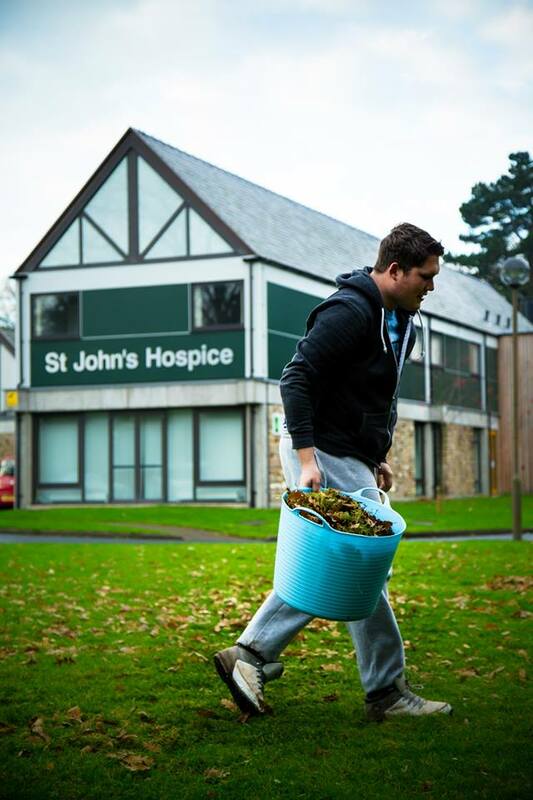 It seems simple enough but it was tough work loading up buckets of leaves to fill sacks in wheelbarrows to be deposited on the other side of the hospice, not to mention the grounds are huge and every leaf under every oak tree was meticulously raked by our hardworking team. 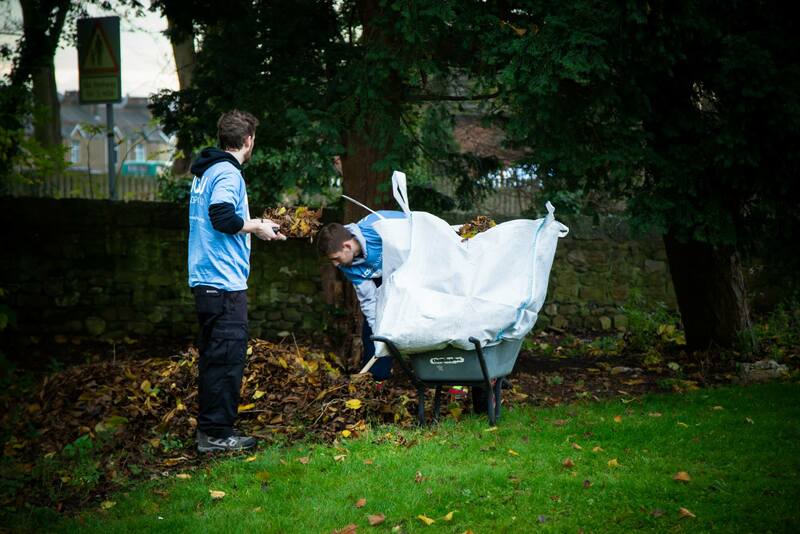 We made friends and had a laugh, but the real joy came from knowing that the patients and relatives in the hospice would benefit from having a clean outside environment. 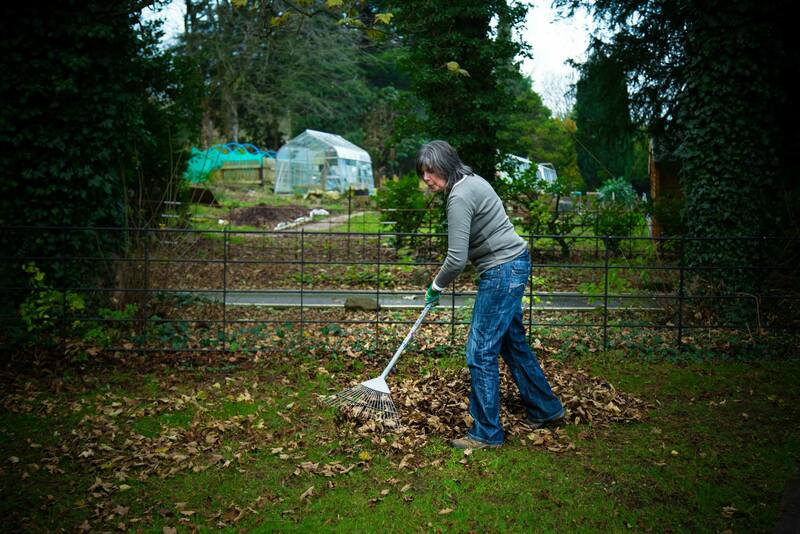 The debris of autumn had been cleaned up ready for the winter and there are plans to return in the new year to help our friends at St Johns Hospice once more, and hopefully plenty of other times in the coming 2015.